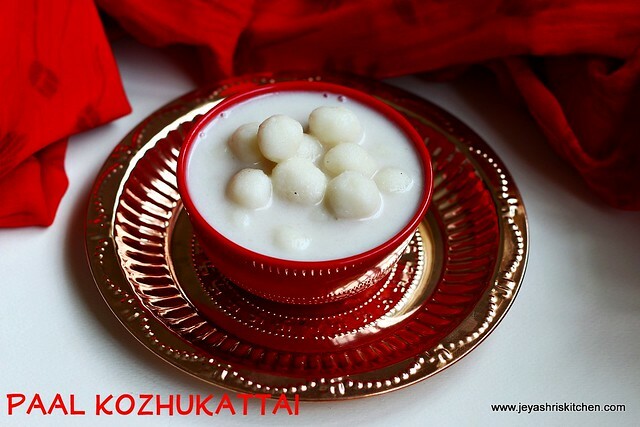 Paal kozhukattai|Undralla payasam( in telugu), in most of the houses they make for ganesha chaturthi|vinayagar chaturthi. I have posted the version of paal kozhuttai with jaggery , this one is more similar to that. I have replaced the sugar with jaggery in this post. The addition of coconut milk makes this sweet more rich and nice. 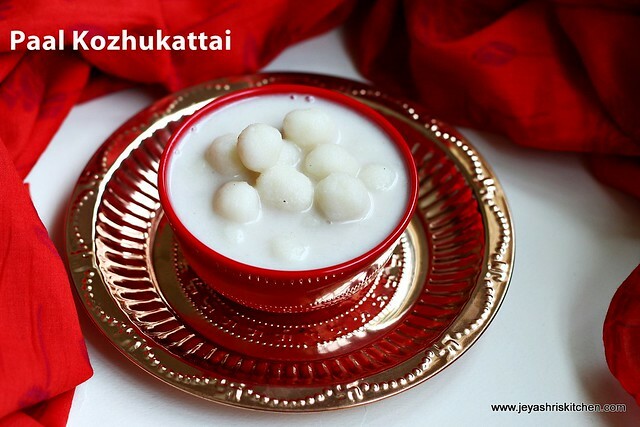 Try out this paal kozhukattai for this Ganesha chaturthi. even you can make this on regular days also as a dessert too. 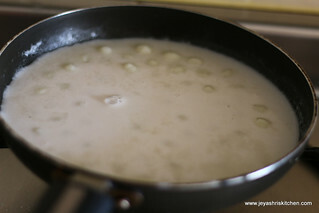 In a pan add 1/4 cup of milk and 1 cup of water. Add the flour and a pinch of salt. 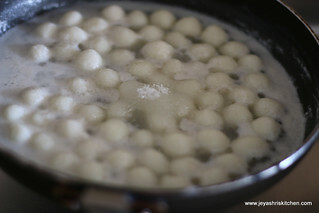 If using idiyappam flour do not add salt. Add few drops of ghee to this. Cook in a low flame till it comes to a mass and the water evaporates. When the mixture is warm and can handle with your hands, knead this into a smooth dough. You can grease your hands with sesame oil before kneading. 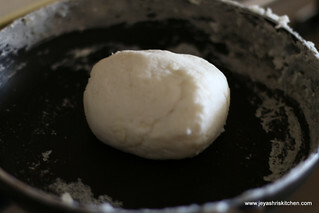 Cover this dough with a clean damp cloth. 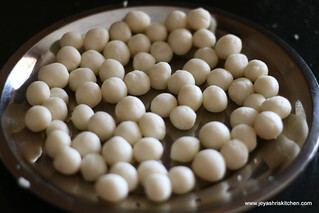 Before making the kozhukattai, make the dough into small round balls as we do for the ammini kozhukattai. 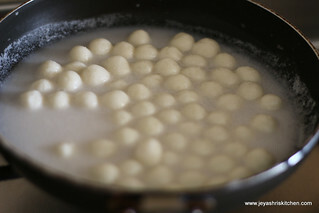 When it about to boil, add the rolled balls to this and keep the flame to low. Let this cook for 3-5 minutes. Add the sugar . 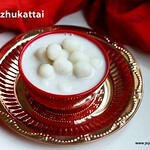 Mix well and add 1/2 cup thick coconut milk (first paal) . Immediately switch off the flame. Add cardamom powder and mix well. This will thicken after sometime , so do not worry if it is slightly watery. This tastes even more better when served chill. Do not boil after adding the thick coconut milk. It will get curdled. If using store bought coconut milk or coconut powder, for the thin milk dilute 2 tblsp of coconut powder or mixture with 1/2 cup of water. 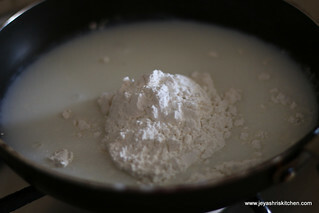 For thick milk add 1/2 cup water to 5 tblsp of powder.